What if you could take your family, leave everything behind, and live life in your RV? Really– sell the house, the cars, and most of your belongings, cut out the debt from the mortgage and car payments, pack up the kids, hop in the motorhome, and go anywhere you please. Wouldn’t it be great to travel all over, see everything you want to see, and still always have your home with you? This is probably the ultimate fantasy to many RV enthusiasts. Lots of people may dream it, but the Kellogg family from Glenwood, Colorado, did more than dream. The Kellogg’s made it a reality — their reality. And the most impressive part of their story? They don’t have just one or two kids. They have 12. Read on to learn about this truly remarkable clan and their great adventure! 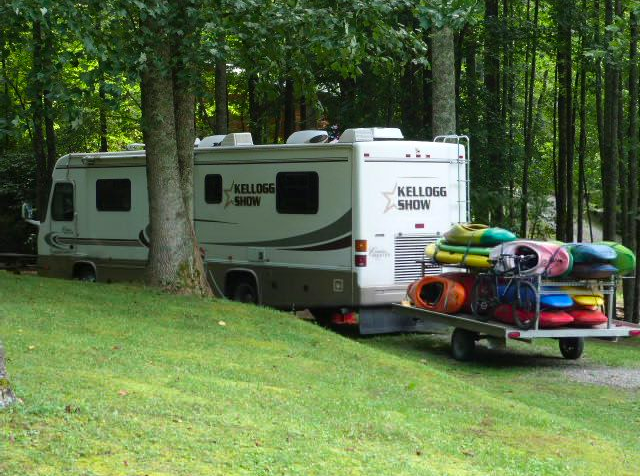 The Kellogg family’s RV and trailer. Fourteen people fit in there! The whole thing started when Dan and Susie Kellogg and their then-11 children were on vacation in the summer of 2012. They, of course, had a fantastic time, and they started thinking (just like many of us do when we’re on vacation) that it would be amazing if they could just be on vacation all the time. However, unlike the rest of us, the Kellogg’s managed to make it work. They sold their house and their cars, piled their whole family into their mammoth Class A RV, and headed out, without looking back. 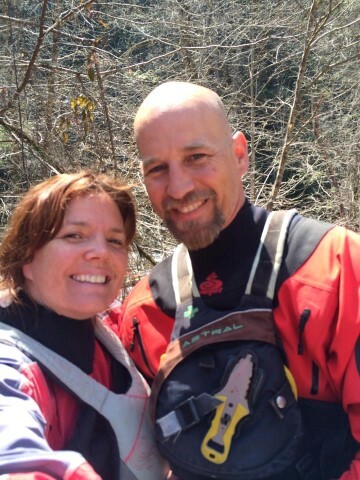 Their sense of adventure, and the 100% positive outlook that Dan and Susie have, is what pushed them through the initial rough patches and helped them make the whole thing work. 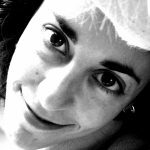 They see every day as a new opportunity to do something fun, new, and exciting, and they love being untethered to the quote-unquote “normal” things in life. Dan and Susie Kellogg and their 12 kids can go anywhere they please — and they do. 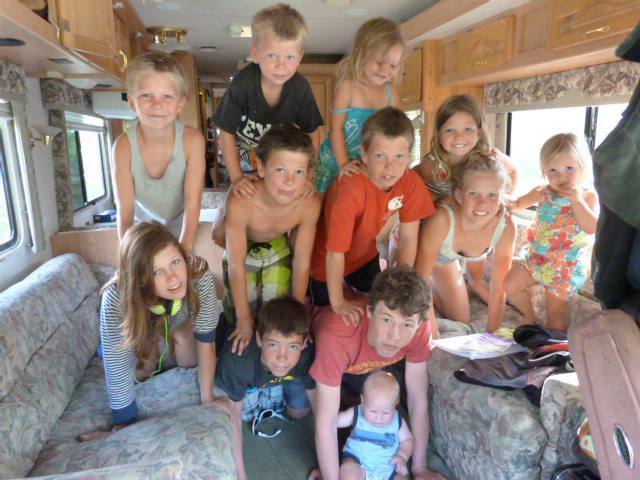 Having 12 kids does certainly keep things interesting — and crowded! Fourteen people in a large house with lots of room would be tight, but in an RV, space is limited to say the least. But the Kellogg’s are a tight bunch, and somehow, they make it work. They love the adventure, and they accept the close quarters as part of the fun. Fortunately, both Dan and Susie have jobs that allow them to work remotely; it’s a perfect arrangement for their new nomadic lifestyle. Dan is a software engineer, and Susie is a travel writer, so as long as the wifi or mobile signal works, they can get their work done and earn enough for the clan to keep on going. Their oldest daughter, Kerry, who is now 20, travels with the gang, running her own arts-based business. In fact, she postponed college to take part in this grand trek with her parents and siblings. In addition to these more official jobs, the family has a website on which they document their travels, and they have several active social media sites as well. They call themselves The Kellogg Show, an apt name, since theirs is as interesting a tale as anything you’d find on reality TV. As for housekeeping jobs around the RV, all of the kids have their chores and assignments. They all pitch in to make the whole set up work, whether it’s building a campfire, keeping an eye on the younger ones, or something else. Dan and Susie Kellogg enjoying one of many adventures. Not having a house, and not being stuck in one place for most of their lives, has been totally freeing. The entire country is now their backyard, as Dan Kellogg has said. He and the rest of the family have a true pioneer spirit, as well as total determination to forge ahead. Also, Dan and Susie love that their family is so close. Yes, they’re close literally, but they’re also close in the sense that they love being together, traveling together, and helping one another. Really, with their upbeat, can-do attitude, the possibilities are endless. The amazing story of the Kellogg family is garnering lots of attention, and for good reason: it’s quite a tale! It’s been picked up by Yahoo News, major newspapers, like the Tampa Bay Times, lots of RV and family websites, and even NBC’s Today Show. The Kellogg family is, as the saying goes, living the dream! 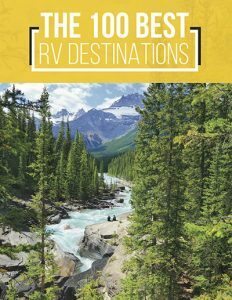 The next time you find yourself daydreaming about giving up the comforts of modern life to hit the road in an RV, don’t ground yourself in your actuality. It can work, and the Kellogg’s are proof. They’re doing it! What’s stopping you?